Record cream and butter prices failed to dampen Dairy Crest’s pre-tax profits which soared 871 per cent to £151.4m in the six months to September 30. Profits were aided by the reduction in pension scheme liabilities at £131.4m. 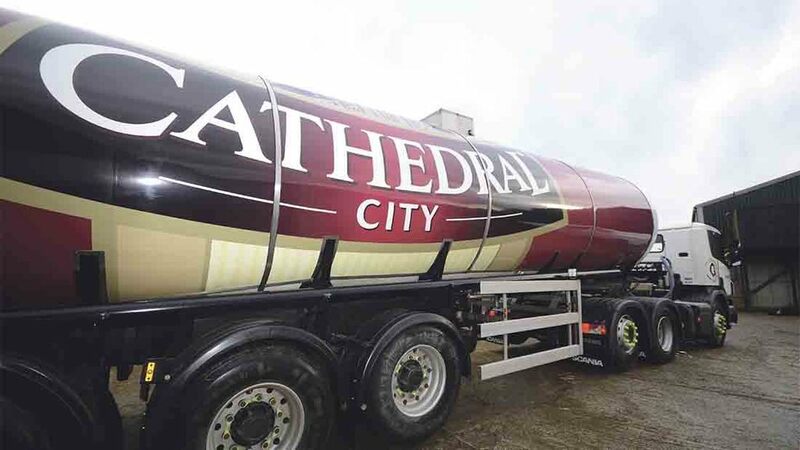 The group reported strong sales, up 16 per cent to £220.1m, with the Cathedral City brand growing 10 per cent and Clover and Frylight also performing well. Dairy Crest chief executive Mark Allen said he expected high input costs would make for another challenging few months but remained confident in delivering full year expectations. He said: “We have had an encouraging first half, with Cathedral City, Clover and Frylight delivering good growth in both volumes and value. Cathedral City, the nation’s favourite cheese, continues to go from strength to strength and has produced exceptional growth over the period. “We have delivered good profit growth despite a record high cream price, which has a temporary but significant impact on input costs in our butter and spreads business." Mr Allen said the firm expected to accelerate sales of demineralised whey and GOS in the second half of this year. “In conjunction with our partner Fonterra we are making good progress in developing sales channels for our products,” he added. “Our strong brands and the quality and efficiency of our operating facilities mean that we are well positioned to grow. While we expect butter input costs to continue to be challenging for the remainder of the year, we are confident in delivering our full year expectations."